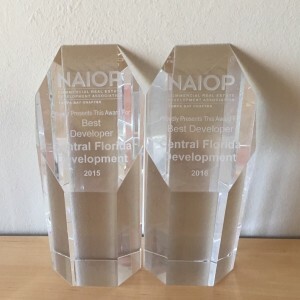 We are extremely proud to announce that, for two years in a row, Central Florida Development (CFD) received the best developer award in Tampa Bay! : NAIOP Developer of the Year. Since 1979, this award has been given annually to one developer that best exemplifies leadership and innovation in the commercial real estate market. 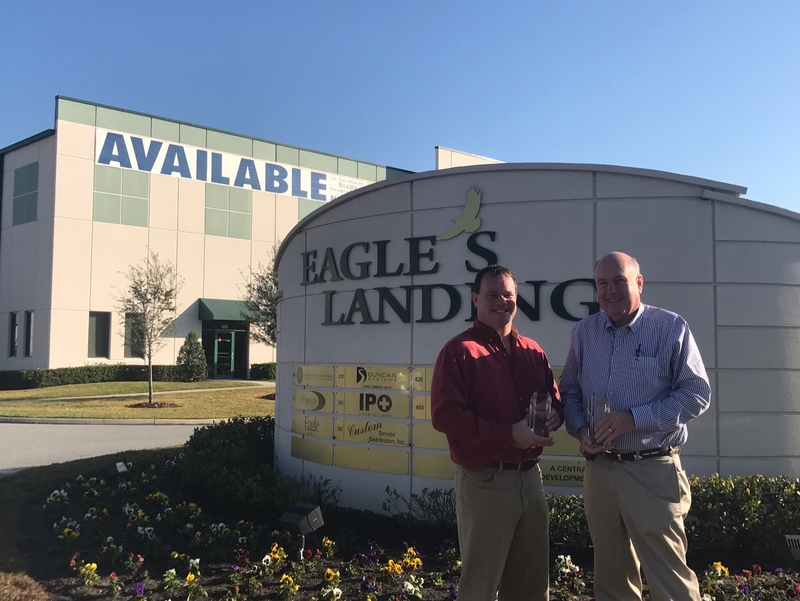 Pictured right is Jeff Lucas and Rich LeFrois standing with the 2015-2016 NAIOP awards in front of our Eagle’s Landing mixed-use business park, located at the I-4 and County Line Road interchange in Central Florida. Interested in expanding your business in Florida? View available properties.